The old rusty bar lay across a blue tarp on the chilly October ground. Also occupying the space was a hockey stick, three pairs of roller skates and several miscellaneous golf clubs. The old rusty bar was just one of many items that were being sold at the 12th annual St Casmir’s Parish rummage sale. The bar was seven feet long, forty-five pounds and made of elevated temperature drawn alloy steel. Though covered with rust and corrosion, the bar was as strong as the day it was forged, which was sixty years earlier in a foundry in southeastern Pennsylvania. The men who crafted the bar were devoted to producing the finest lifting devices in the world. In an earlier life, these craftsman would have been making broadswords and battle shields for samurai warriors and elite gladiators. The bar sat on a wooden rack in a warehouse until one day a man and his son entered the warehouse looking to make a purchase. John, who was 14 years old spotted the bar and said “Dad, this one.” John was weak and frail looking and could barely lift the bar from the racks. His father paid for the bar and for the 150lbs of black plates to go along with it. The bar and plates were loaded into their truck and driven to their home two hours away. John set the weight up in the basement of their home. Three days a week, he would sojourn to his basement gym and exercise with the weights. Even though he could barely lift the bar by itself, he insisted on at least having two the smallest plates on the bar when training. At first, he struggled to even stand erect with the bar and the small plates. As the days and months passed, he began to slowly add more plates to the bar. 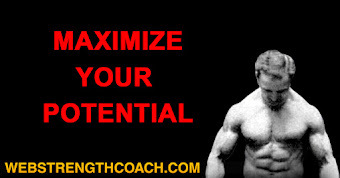 He was soon lifting the bar to his chest, then overhead. His exercise regime was crude, but effective. His body responded with hard muscular growth. 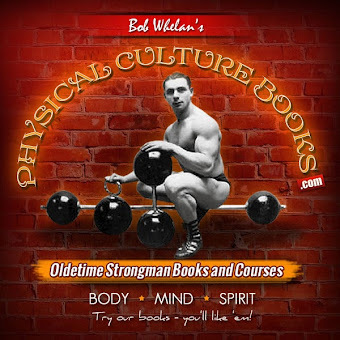 He collected exercise and anatomy charts from a physical culture magazine and attached them to the walls of his basement gym. Soon awards and local newspaper clippings honoring young John’s athletic achievements joined the charts and pictures. One day John did not appear for one of his routine workouts. A week passed, then a month and still the bar remained untouched on the sheet of plywood that served as his lifting platform. Two and one half years later, he returned to the basement. 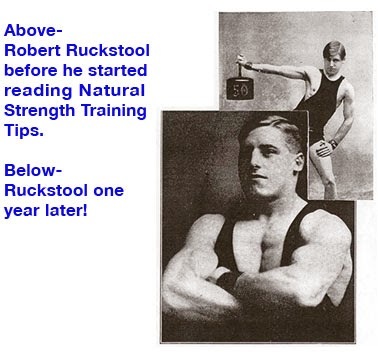 He was taller, but much lighter in bodyweight and muscle mass. He walked with a noticeable limp and the last two fingers on his right hand were missing. His absence and his injuries were the result of serving his country. He began training with the weights again. Ever so slowly, he began to rebuild his body. The process was slow and painstaking. He taught himself how to use a hook grip with his right hand in order to properly secure the bar. Lower body training was slow and deliberate. His body responded by rebuilding the strength and size that it had once proudly bore. In less than a year, he was able to surpass his pre-war lifts and his limp became imperceptible. Shortly thereafter, he again left home, this time to take a job offer on the other side of the country. He left the bar and his weights behind, promising himself that he would return home for the equipment as soon as he was settled into his new residence. He never returned to retrieve the bar and it along with the rest of the equipment sat in the basement for six more years. John’s parents sold the equipment to Charles Pinkerton, a young engineer who lived in a nearby town. Charles had been bitten by the iron bug while serving in the war in Europe and he was anxious to continue to continue his training. Less than a month after purchasing the equipment, Charles was notified by his company that he had received a promotion and would be transferred to France in order to supervise a major engineering project. The company shipped all of the Pinkerton’s household goods to France the following week. They quickly discovered that the house that had been rented for them was much smaller than they expected and almost half of their belongings had to be placed in storage for the duration of their stay. Charles was disappointed in not having sufficient space to use his weights, but was elated to find a excellent weight training gymnasium less than five blocks from their home. He quickly made friends with the owner who offered to store the bar and the weights in the gym. Charles worked hard on the engineering project and worked even harder in the gym. The project was finished early and under budget, resulting in another promotion for Charles and a transfer back to the United States. One week before he was to leave, Charles went down to the gym to retrieve his weights and to thank the owner and bid farewell to his fellow lifters. He was surprised to see a small gathering of about 20 people at the gym and was told that an American weightlifting champion was visiting the gym to give a demonstration. Charles worked his way to the front of the small crowd and gasped when he saw one of the most powerful looking men that he had ever seen in his life. The man, using Charles’s bar, was performing some powerful clean and jerks. The weight on the bar eventually reached 425lbs and the champion cleaned it to his chest and jerked it overhead with power to spare. The lift was greeted with thunderous applause from the crowd, however; the lifter was just warming up for an ever-bigger feat. He walked over to a ponderous set of railroad wheels joined by a thick axle. 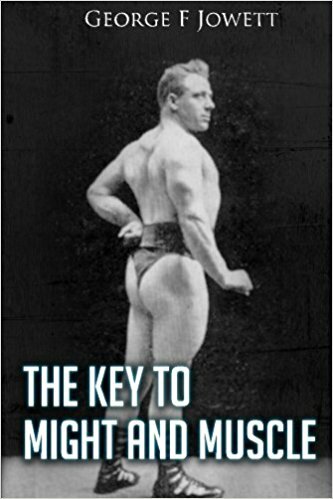 Applying a thick coating of chalk to his hands, the lifter approached the bar and prepared himself to conquer it. The man next to Charles whispered to him “Only a few men in the world have ever lifted this weight” The railroad wheels were hauled to his chest and powerfully sent to arms length, not once, but three consecutive times. The ovation that the champion received was deafening. Charles was fortunate to shake the champion’s hand before he said his farewells and collected his equipment for the trip back home. Charles and his family moved to Albany, New York, which was the headquarters of the company that he was employed by. His promotion to a senior project coordinator allowed him to buy a nice home for his family, which included a small, but well equipped home gym in his garage. His new job necessitated a great deal of travel, but he trained whenever he could. 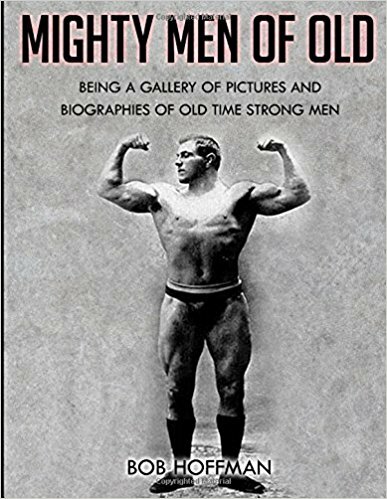 His oldest son David, who had become quite a proficient lifter in his own right, frequently joined him. David has also developed a burning desire to be a pilot. He applied to both the Air Force and Naval Academies, but lacked the necessary connections to receive an appointment. Nonetheless, he was happy to receive a ROTC scholarship to the University of Notre Dame. Not only was Notre Dame an excellent academic institution, but David’s Uncle Henry and Aunt Jean lived on a farm near South Bend and so David could always count on a home cooked meal at their house. The man glared at David for several seconds. 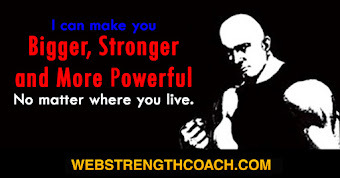 David then said “Sir, would it be ok if I train in this gym” The man replied “ The gym opens at 7am and closes promptly at 4:30, membership is five dollars” David reached into his pocket for his wallet but the man stopped him and said “Hang onto your money, I will let you train today and then I will decide if I will allow you to continue” The man turned and walked over to a small desk in the corner of the gym and began reading a thick textbook. David spent several minutes performing calisthenics in preparation for his training. He removed an empty bar from the rack and placed it in the middle of an empty space on the floor. He loaded two 45lb plates onto each side enjoying the rhythmic clink of the plate as they slid onto the bar. He took a breath and reached down and grabbed the bar with a slightly wider than shoulder width grip. Mindful of that fact that the man at the desk was closely watching him, David performed five power cleans with the loaded bar. He was careful to set the bar down gently between each rep to avoid arousing the temper of the elderly man. He added a twenty-five pound plate to each side and secured the ends with a pair of spin-lock collars. He cleaned the weight three times and then power jerked it for a solid double. He then added an assortment of smaller plates to the bar to bring the total weight up to 230lbs. He approached the bar and just as he was squatting down to grip the bar, he noticed that the large man was standing off to his left and behind him in close observance. David grasped the bar and heard the man, in a commanding voice growl “GRIP THAT BAR AS IF YOU WERE TRYING TO CHOKE YOUR ENEMY TO DEATH” David squeezed the bar tightly and performed a picture perfect clean, followed by a precise jerk to lock the weight triumphantly over his head. David could not help but keep the bar extended for a couple of extra seconds. He set the bar down gently and turned to see that the man was already walking back to his desk without any type of comment. He continued his workout by doing squats, pullovers, presses and chin-ups. For his last exercise, he loaded a bar to 175lbs and performed variable grip barbell rows, a move that his father had taught him. The exercise was a barbell row, with the initial grip being very wide. 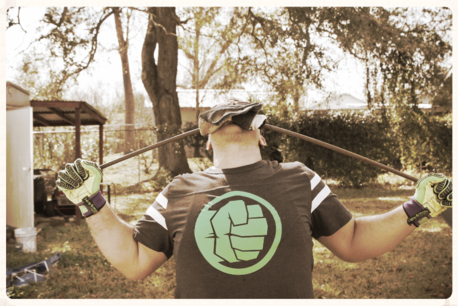 Four repetitions were performed with the wide grip and then David set the bar down and brought both hands in about six inches and then continued to perform 3-4 reps for each grip width until his hands were less than a foot apart. As soon as he was finished with his last set, he carefully returned all of his equipment to its proper storage place. Taking a deep breath, he approached the desk where the watchful man was sitting and said “Sir, I want to thank you for letting me train in your gym today” The man grunted a nearly inaudible “your welcome” and then he reached into his desk and pulled out a notebook and a pencil. As he opened the notebook, he looked up at David and said “What’s your name, and where are you from”? David supplied this information and the man wrote it down in his notebook. The man then said “I have never seen you before, so you must be a freshman” David nodded his head and the man said “ I will take that five dollars now” David reached into his pocket and handed the man a five dollar bill. He placed the bill into his pocket and then returned to reading his book. David excused himself and left the gym. He would find out later that the man who ran the gym has been a student at the school and was now a priest. 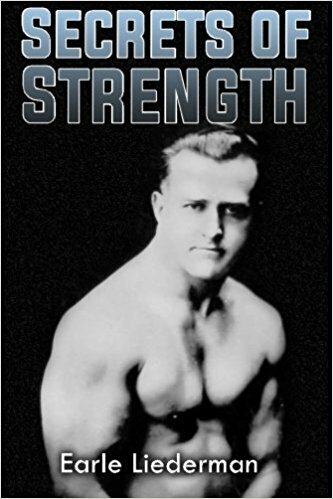 His strength was legendary and at one time he had been considered as one of the strongest men in the world. 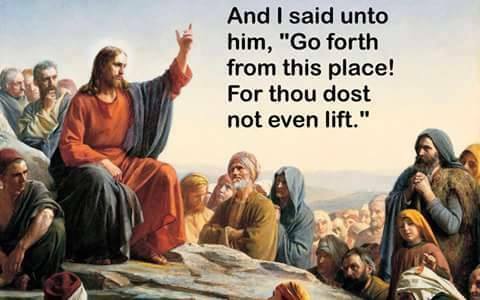 He ran the gym with an iron fist, but he was also very generous with his time and his resources. David would learn more from this strongman-priest then he did from any of his instructors the entire time he was in school. In his junior year of school, David was notified that he had been promoted to the top ranking ROTC officer at the university. It was an incredible honor, but it also meant increased responsibilities and duties. The increase, combined with his increasingly difficult academic load meant that he we unable to get to the gym to train as often as he liked. To solve this problem, he visited his parents at Christmas and brought back his Dad’s treasured Olympic bar and an assortment of weights with him. Uncle Henry had an available utility shed and David was able to set up a crude gym in the there. He would often visit his aunt and uncle on weekends, train with the weights and then stay for dinner. David graduated with honors from Notre Dame in the spring of 1964. He was commissioned as a 2nd lieutenant in the United States Air Force and moved to Texas to begin his flight training. Ten months later, he received orders to a squadron in Vietnam that was part of Operation Rolling Thunder. Lt. Pinkerton flew numerous missions and received both the Distinguished Flying Cross and the Air Force Commendation medal. One warm fall afternoon, while flying a sortie into route package six-alpha, David’s plane was hit by a North Vietnamese anti-aircraft artillery, sending the bomber into a crash landing. His body was shipped home for burial with military honors the following week. Several months later, Uncle Henry gathered up the weights that were still sitting neatly in the utility shed and donated them to a local high school, but the bar remained in the shed for nearly twenty-five years, when it was donated to the church for its annual rummage sale. The old rusty bar had a good run but it appeared to be ending. The sale would end at noon and all of the unsold merchandise would end up in at the nearby landfill. Earlier in the day, two teenagers had taken at a look at the bar and had expressed some interest in it. However, they decided against it in lieu of a brand new shiny bar that was available at their local discount store. At twenty minutes to noon, a young man, whose body was just beginning to show the results of resistance training, lifted the hockey sticks and skates off the bar. He picked up the bar and carefully examined it, in the same way that a jeweler would evaluate a precious stone. The young man turned to Father Everett, who was in charge of collecting the money for the merchandise, and politely asked ‘Excuse me sir, what is the price of this bar”? The Padre walked over to where the teenager was kneeling and looked at the old rusty bar. He said “Well, its kind of rusty, so lets say five dollars” The young man reached into his pockets, knowing that he had less than fifty cents on him, but somehow hoping that he might have the necessary cash to make the purchase. He stood up and said to Father Everett “Wait right here, I will be back in just a minute with the money” He then sprinted off to find his grandfather. He spotted him on the other side of the church. The white haired man was haggling with another elderly man over some mallard duck decoys. “Grandpa, I need to borrow five dollars, I can pay you back next week” His grandfather replied “What are you planning to buy” “It’s a really cool lifting bar,” he said. His grandfather said, “Well, why don’t you show me this bar” The young man led his grandfather over to the blue tarp. He squatted down, picked up the bar, and turned to show it to his grandfather. “The man reached out and touched the bar with his fingertips. “It will take some elbow grease to get this rust off; we should stop at the hardware store on the way home and get some naval jelly.” “Grandpa, does that mean you will loan me the five dollars” His grandfather smiled and said, “No, I won’t loan you the money, but I will give it to you.” He turned to Father Everett who had walked up the edge of the tarp and said I want to buy this bar for my grandson” He reached into his pocket and pulled out his wallet. He selected a crisp five-dollar bill and handed it to the priest, who could not help but notice the missing fingers on the grandfather’s right hand.